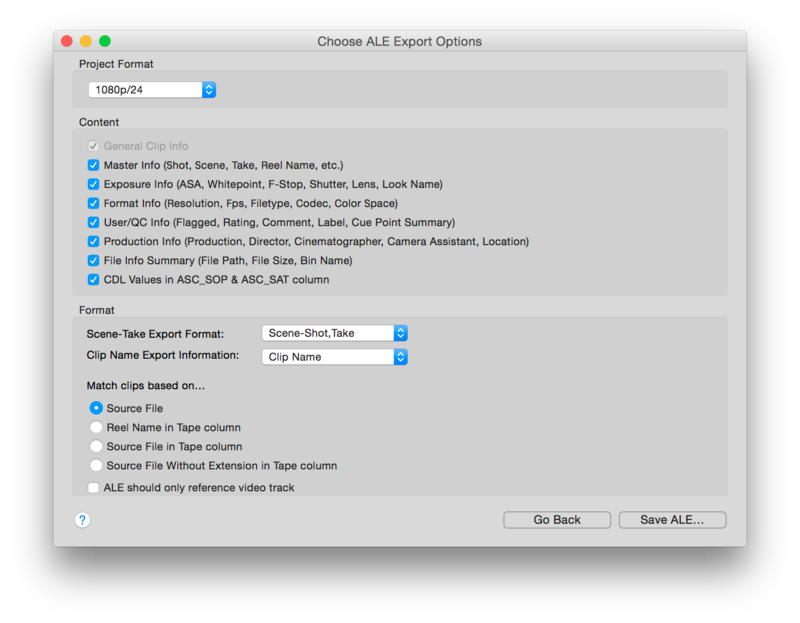 You can export an .ale from Silverstack to transfer ASC-CDL color metadata to Assimilate Scratch. 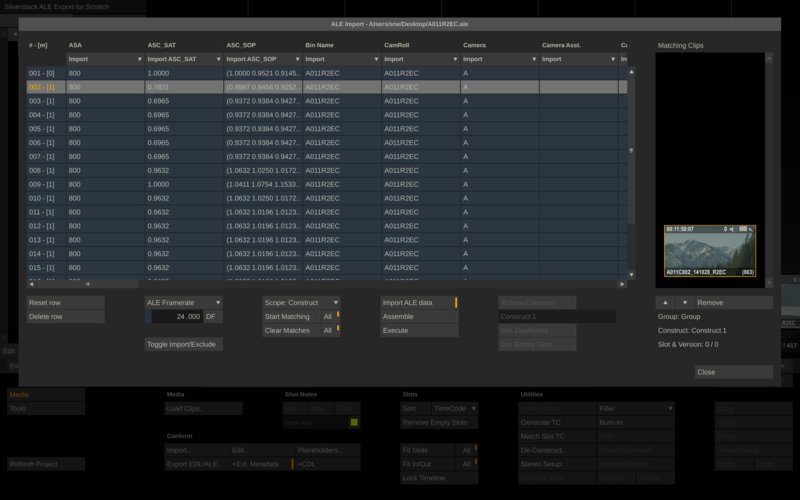 Assimilate Scratch matches the according CDL values to the loaded clips and translates them into looks. 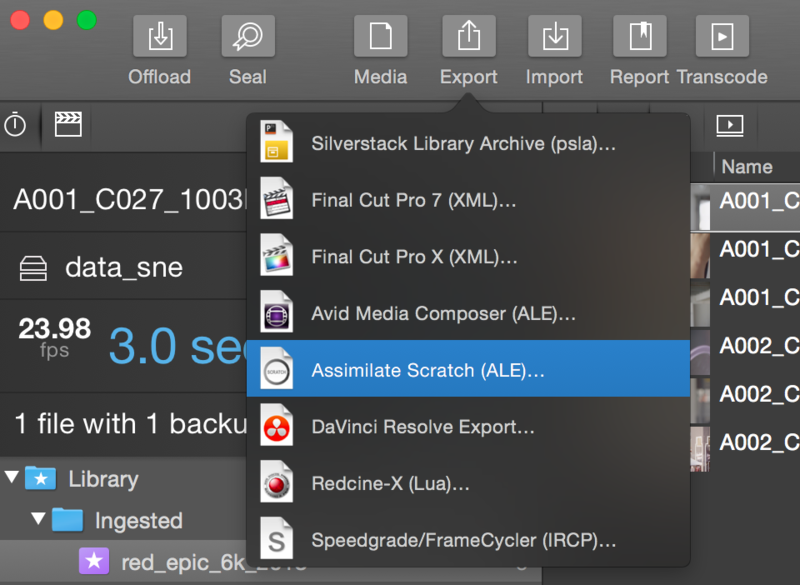 Fig.1: Choose Assimilate Scratch from the Export options. Fig. 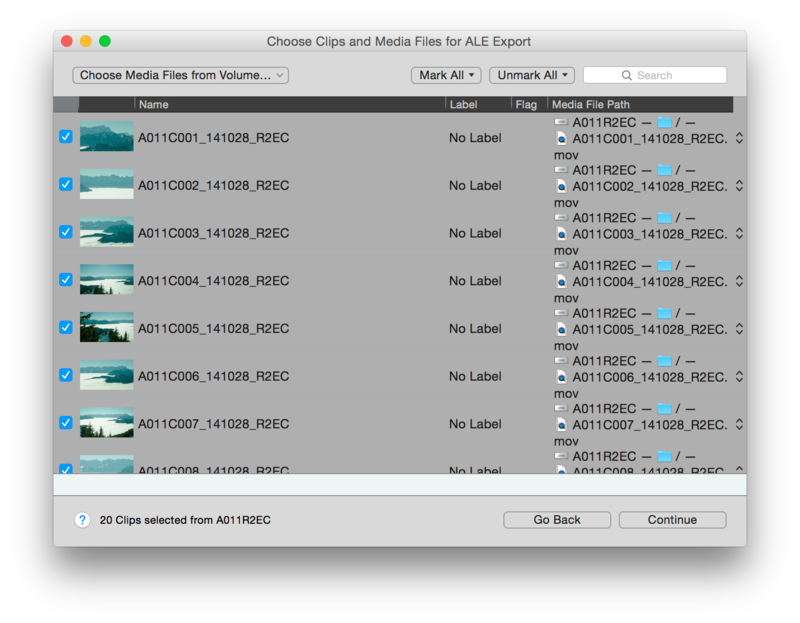 2: Choose the clip you want to export in the ale. Select the clips you want to export and click “Continue”. Make sure the “CDL Values in ASC-SOP & ASC-SAT column” checkbox is checked to transfer color data to Assimilate Scratch. Click “Save ALE…” to save the .ale file to the intended destination. Import the clips into Scratch that you want to apply color information to. Check settings for matching and import. Go to the clip view and find the ASC-CDL values affect the clips accordingly. Fig.4: Click the Load Clips button to add clips to Scratch. Navigate to the exported ALE and click “Open”. Fig. 7: The ale matching user interface. At the top of the the columns from the .ale you can select the action that should be performed for each column. Make sure you have the “ASC-SOP” and “ASC-SAT” columns set to “Import”. Matching on TC or File Name will be easiest so make sure to that at least one of those columns, or any other you want to match based on, is set to “Match on…”. You can make that selection from the drop down on top of every column. Click “Start Matching” to match the metadata (including the ASC-CDL data) to the clips according to your settings. While then selecting the different rows in the ALE you will see the clips the data will be matched to in the right bar of the wizard. Fig. 8: The metadata has been connected to the clips. Click “Execute” when you are happy with the match and want the metadata to be taken over to the clips. Select “Matrix” from the display options on the right side and “Numeric” from the panel on the left side. You will then see how the color settings have been affected by the imported ASC-CDL data. If working in Assimilate Scratch on a PC monitor you have to set the right gamma to match the look of the clips to the perception inside Silverstack. Go to the Assimilate Scratch global settings to change the gamma if needed. Please be aware of the ColorSync settings in Silverstack as well (read about the setting in the article Using Silverstack’s Full Screen Mode). The use of Pomfort’s LiveGrade and Silverstack in combination with Assimilate Scratch allows for an integrated workflow that involves the preservation of clip and grade metadata throughout the process. Looks generated with LiveGrade can easily be matched to the clips inside Silverstack. This workflow is also described in the article Look Matching. 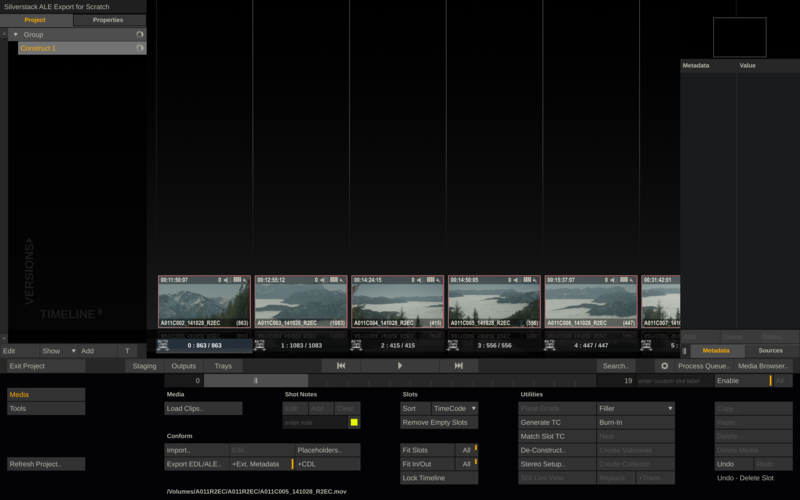 Silverstack can then export an ALE that contains information about the LUT in the grade for each clip. 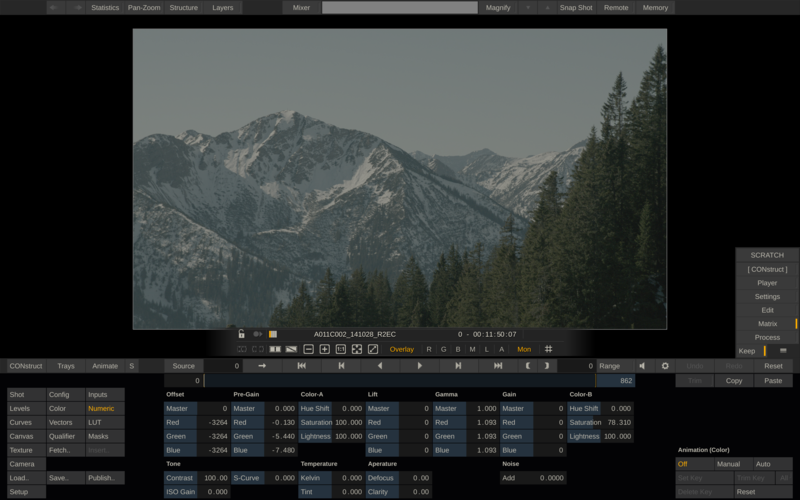 By using the LUT files along with the ASC-CDL data and the automatic matching process inside Assimilate Scratch, unique grades can easily be transferred for each individual clip.